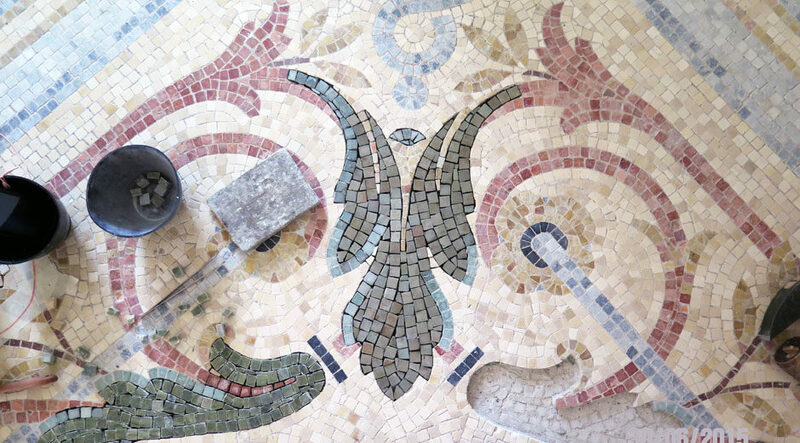 Belle Epoque mosaic restoration in Nice by Rachel, mosaic artist. 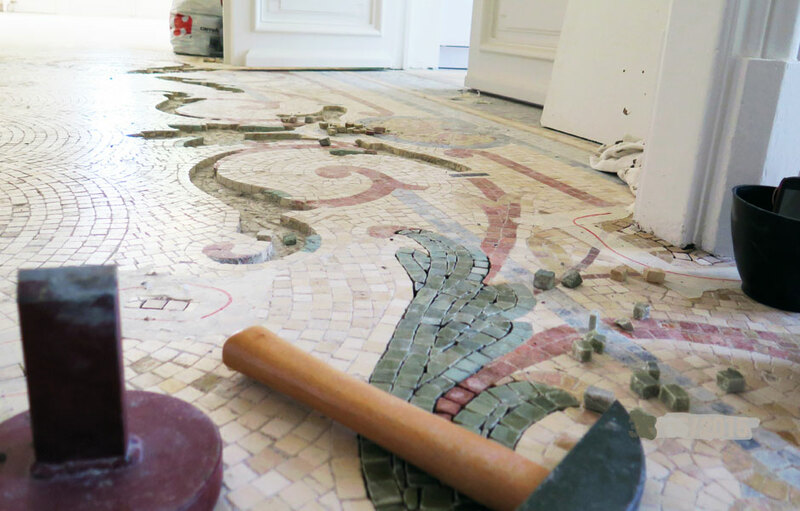 Belle Epoque mosaic restoration and renovation. 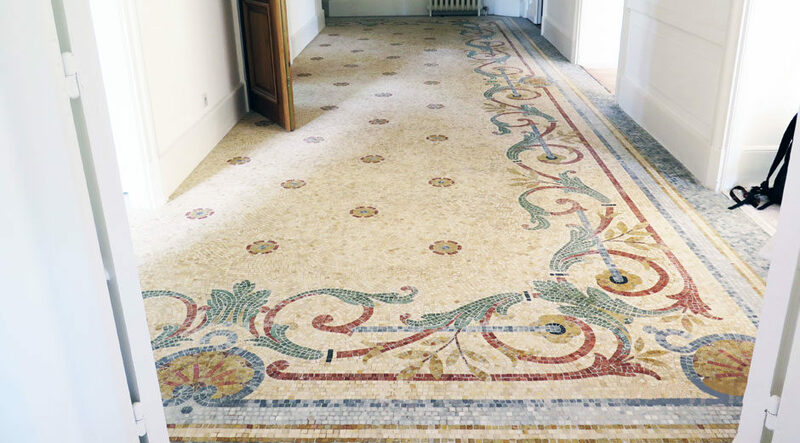 A beautiful pavemental Belle Epoque period mosaic in a private property in Nice (Cimiez)! 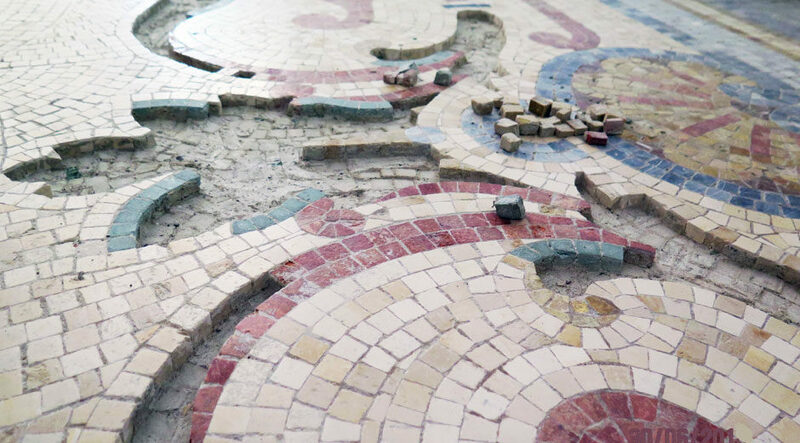 Mosaic restoration in collaboration with the sculptor J.Michel Labarre. 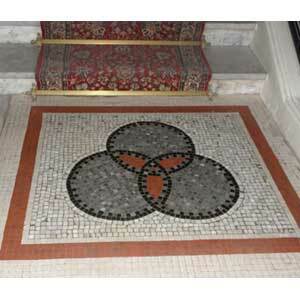 Renovation in situ: replacement of damaged tesseraes with new marble ones, cut with a hammer and hardie. 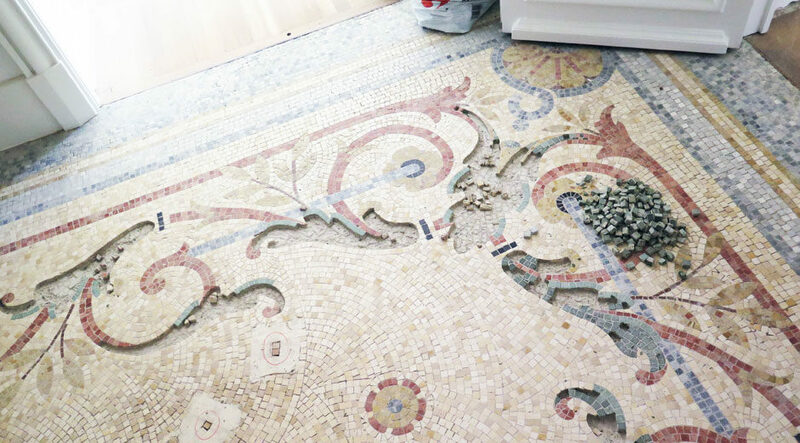 Repair of the missing mosaics. 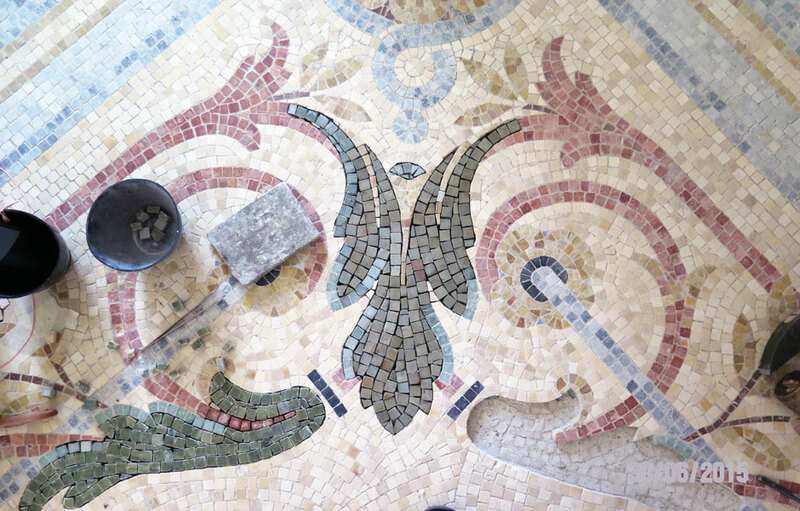 Cleaning, sanding and marble mosaic finishings. 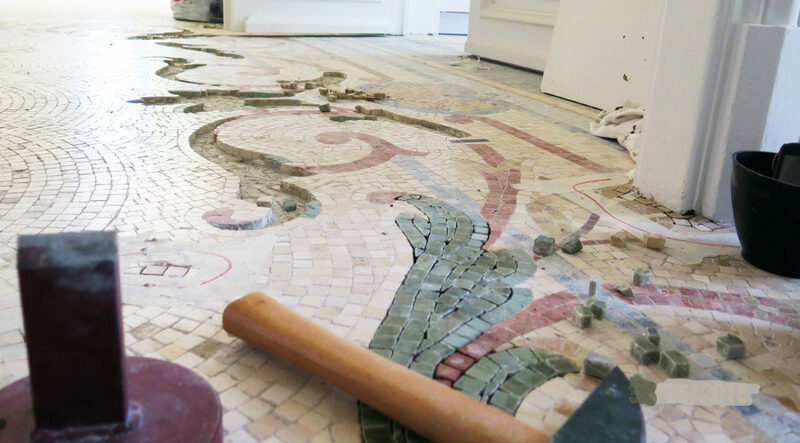 The city of Nice in south east France is a classic example of Belle Epoque heritage: rich in ornamental mosaics, frescoes and other decorations, but some serious mosaic restoration is needed today! La Belle Epoque was a period in Western European history, and in particular French history, where the arts flourished and people started to enjoy life again after a period of war, instability and hardship. It is most often dated from 1870 to the outbreak of the First World War in 1914. 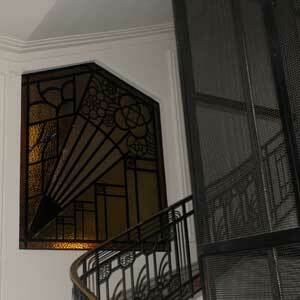 Many properties in the Cimiez district and the centre of Nice reflect the charm of this era. 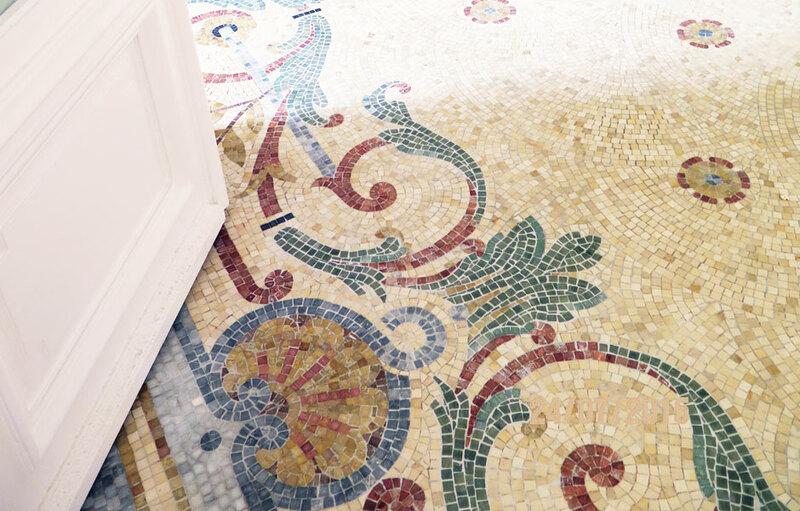 La Belle Epoque has left many decorative reminders from this rich period: floor tiles, wall tiles, mosaics, ornamental ceramics, fresco paintings, mid-reliefs, sculptures, colourful facades and many more. 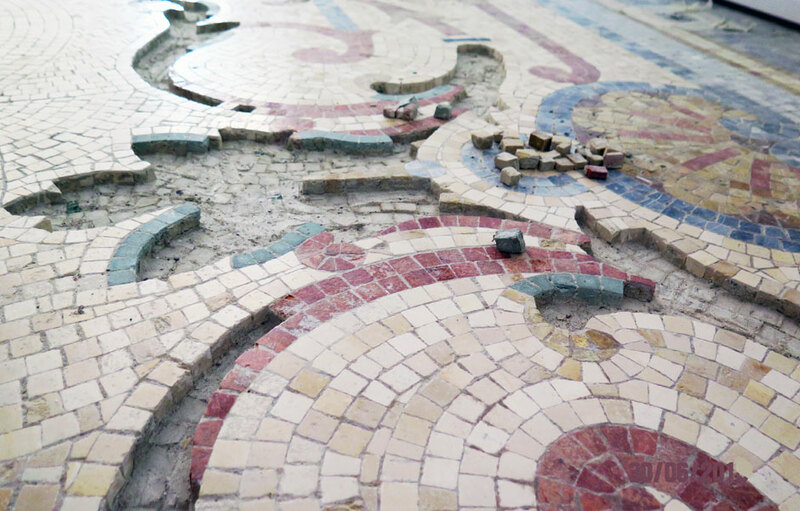 A brief history of Nice. With the discovery of therapeutic sea baths and the birth of thalassotherapy, Nice experienced a spectacular urban development. 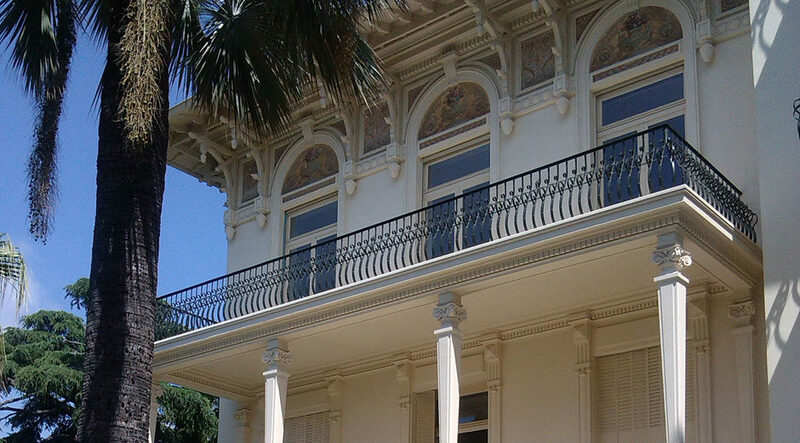 At the end of the 19th century, the railroad brought the first tourists, or “swimmers”, to Nice, along with an influx of the rich upper-class: bourgeoisie or aristocracy of the time. 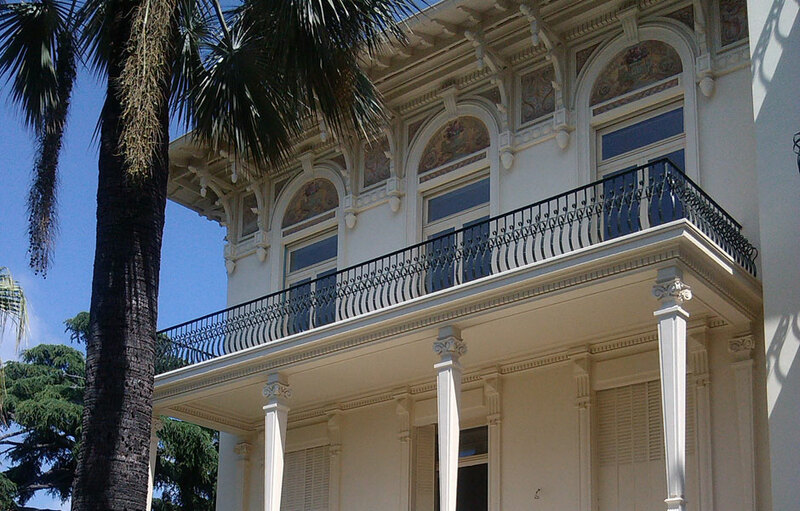 These visitors settled there and began to build the first second homes on the French Riviera. 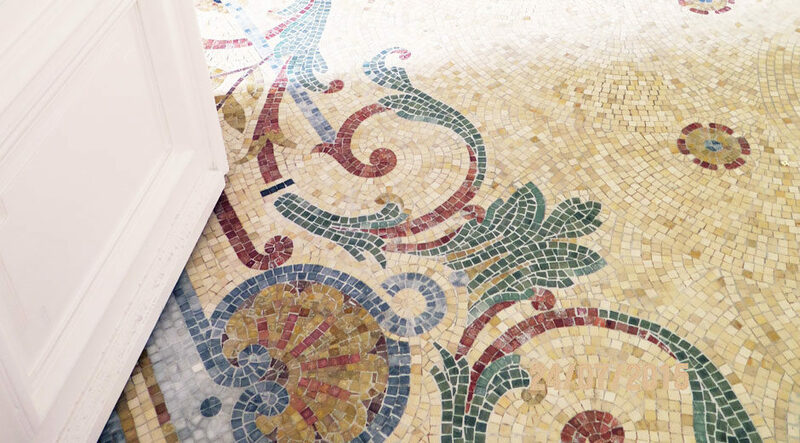 The eclectic style of these houses, fueled by developments in architecture, art, design and crafts, testifies to this time: mosaic friezes, masks sculpture, high-relief motifs, medallions, mouldings, stained glass, metalwork and ornamental woodwork etc. 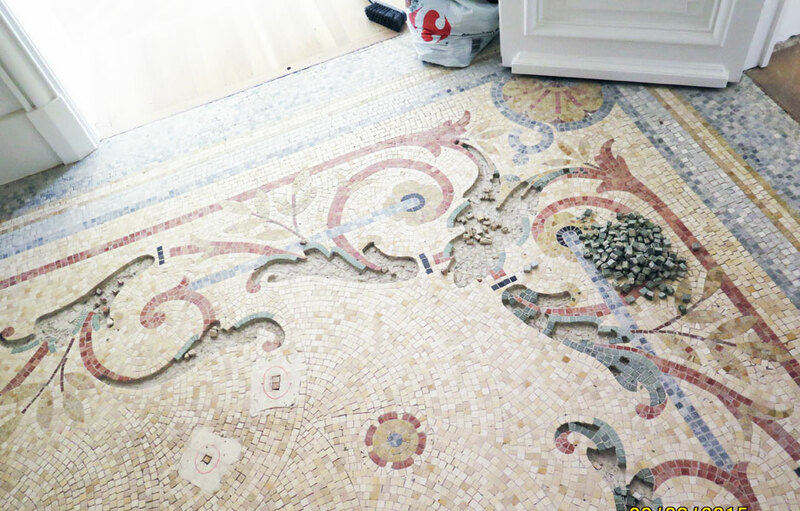 Heritage mosaic restoration for private people or condominiums: restore old mosaics! These Belle Epoque buildings present a historical heritage of that period which justifies conservation, restoration or renovation. 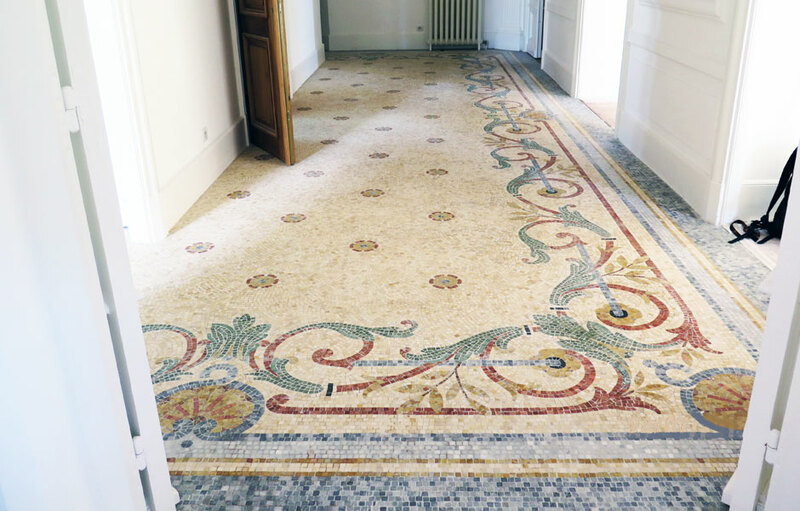 For your small or large Belle Epoque mosaics restoration: talk to a professional mosaic artist!